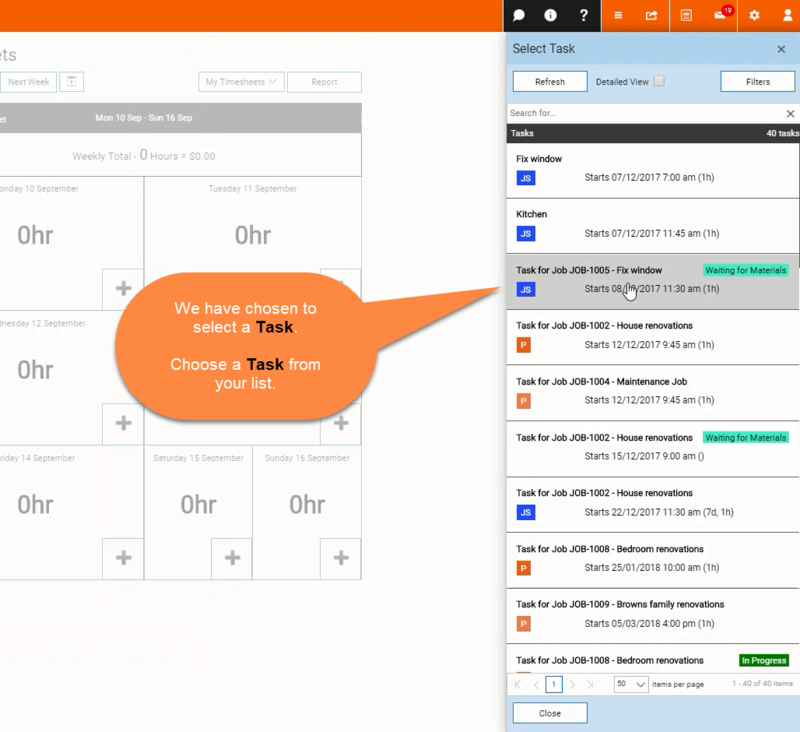 Timesheets overview – Welcome to the NextMinute support and feedback centre. 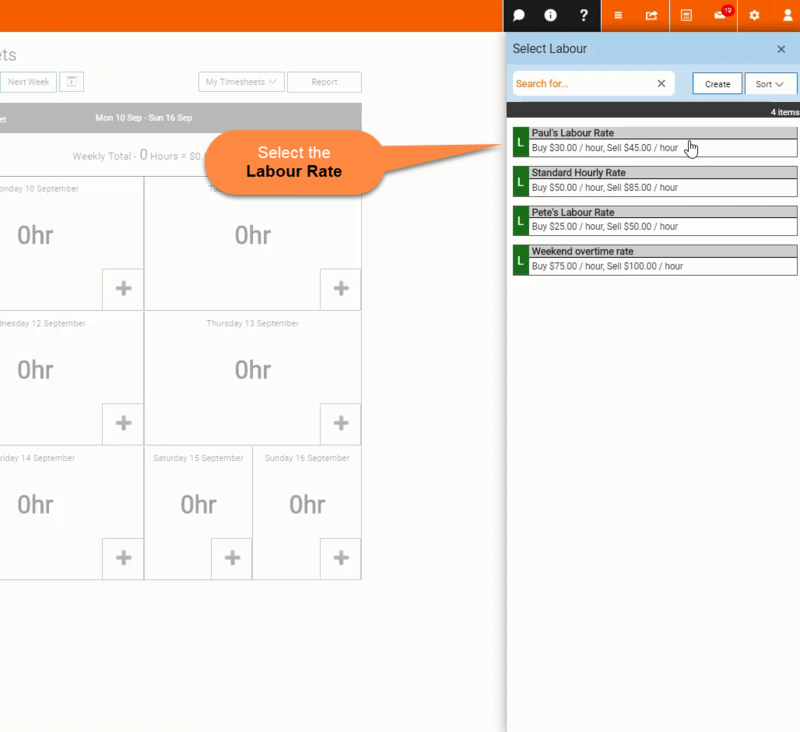 Before your team can add time to their timesheets they will need to be a user and you will need to set up their Labour Rates. Here are some articles on inviting users into your account and setting up different Labour Rates. 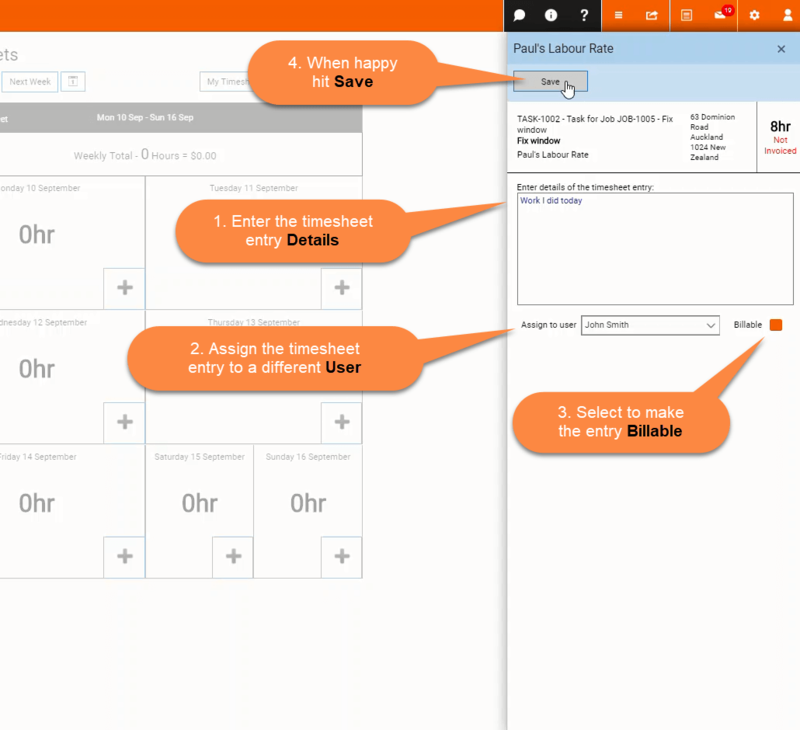 Step one: Navigate to Timesheets from the left hand menu. To quickly add time to a day select the plus sign in the right hand corner of the day. 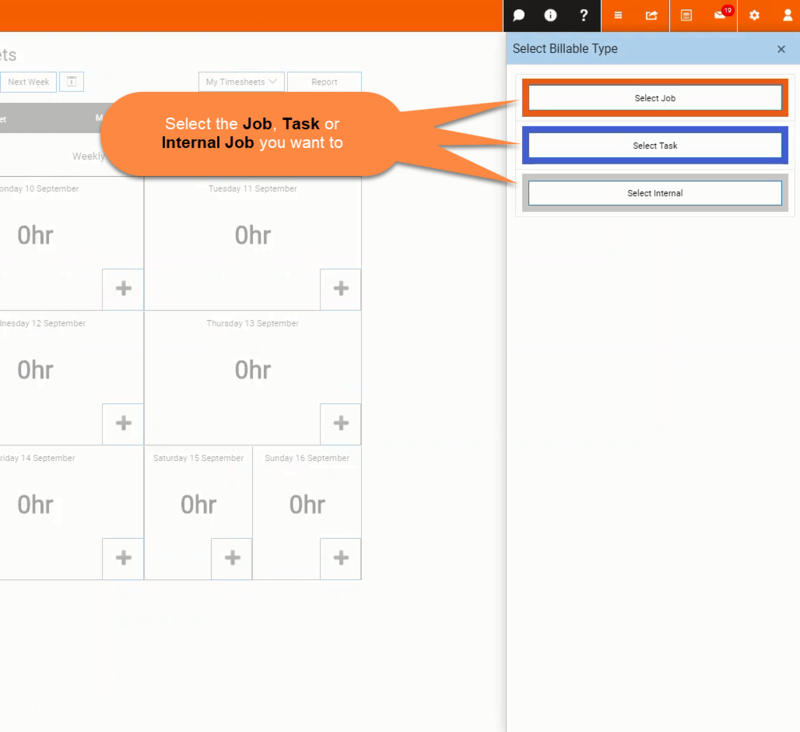 Step two: Select the Job, Task or Internal job you are wanting to add time to. Step three: We have chosen to add time to a Task. Select the Task from your list. 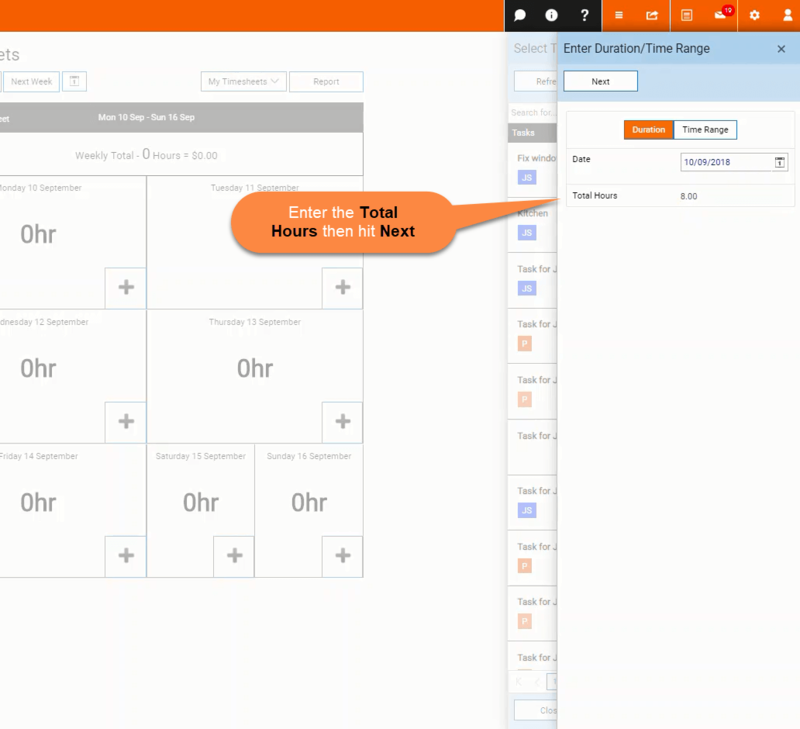 You can also click into the Job or Task to view its details or change, and select the hours to amend. 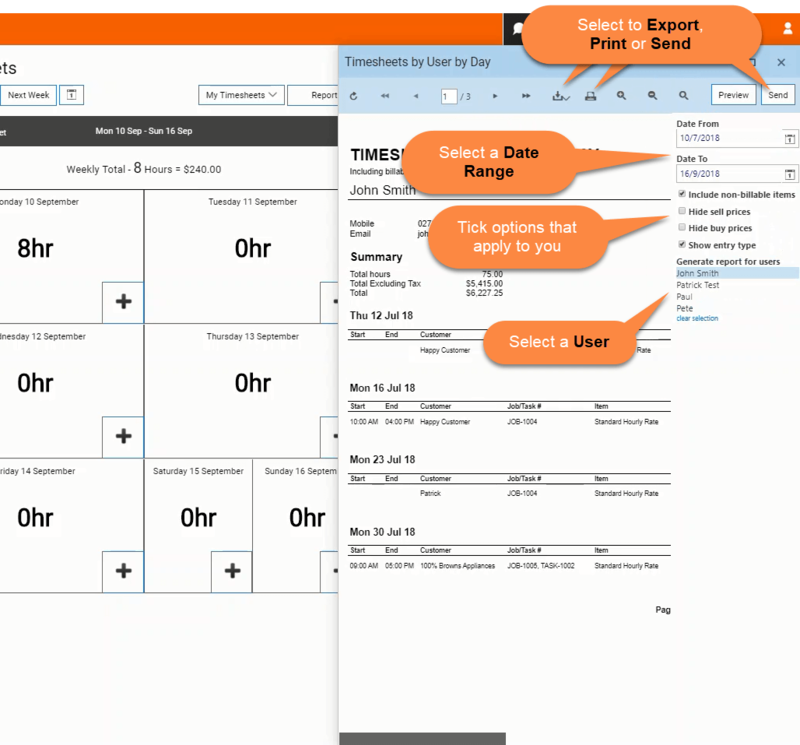 Select a day to open up the Weekly Timesheet Details flyout. Here you can view a Weekly Timesheet Details and make any edits. View the hours assigned to the jobs and tasks for each day. Select an entry to make any edits to the entry or select Add + to add a new entry to a day. 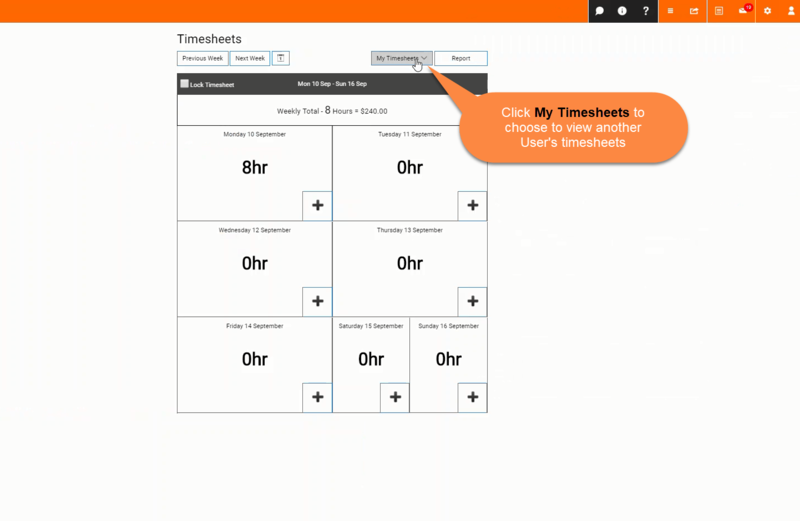 Timesheets brief overview for Mobile. 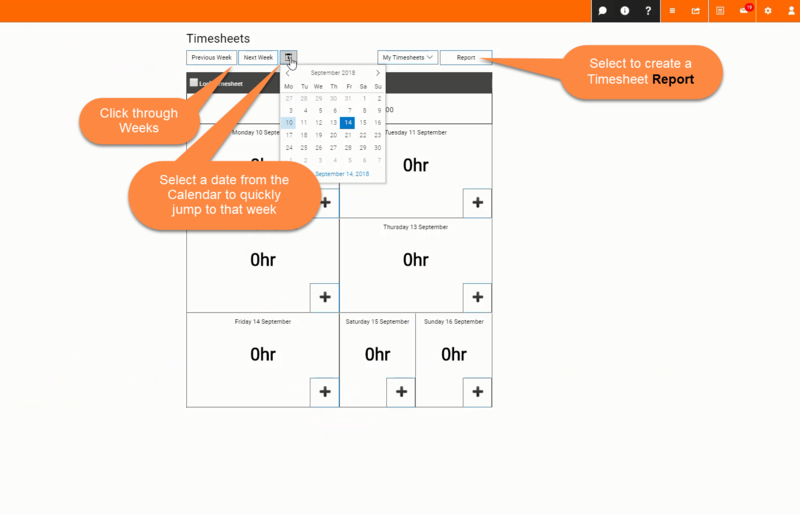 Select Previous Week and Next Week to jump through timesheets for different weeks. 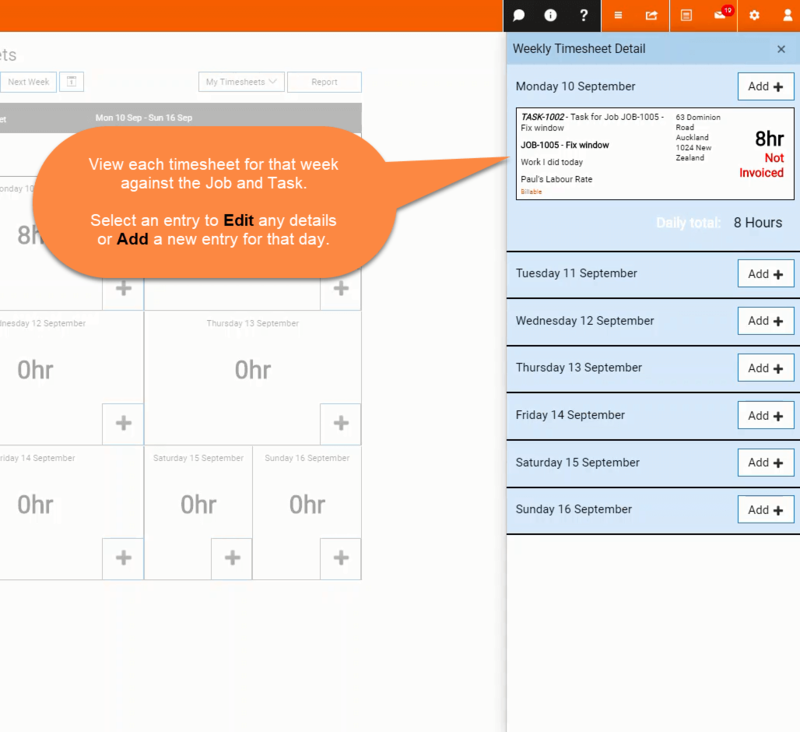 Select the Calendar and click on a day to jump to that week and view or add a timesheet entry to the day. Select Report to create a timesheet report by user. After selecting Report the below flyout will appear. Select the date range, the correct user and include any other options that apply to you. You can then select to Export the report to a file and save, Print the report or Send via email. 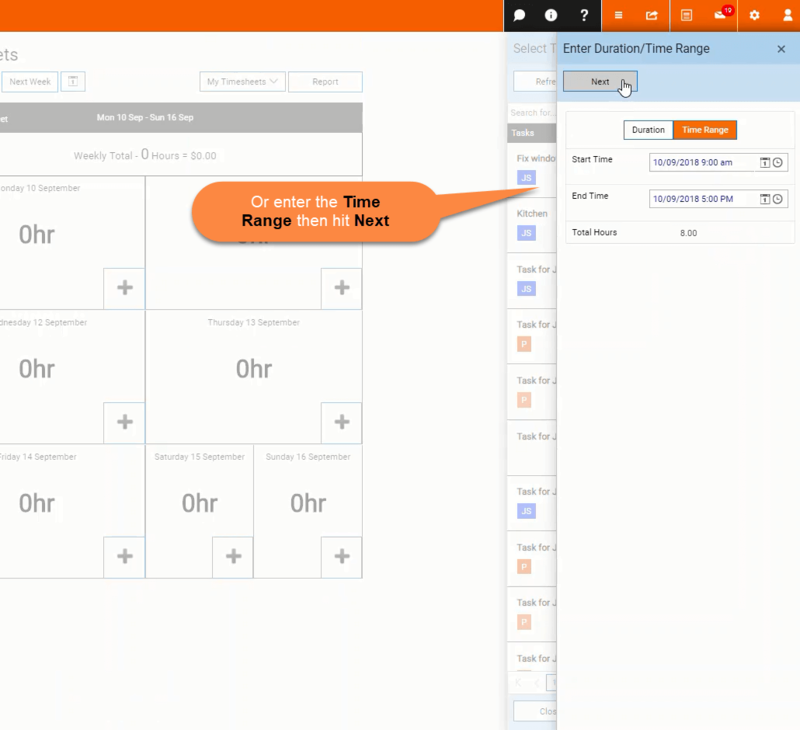 Select My Timesheets to select to view another Users timesheet from the flyout. 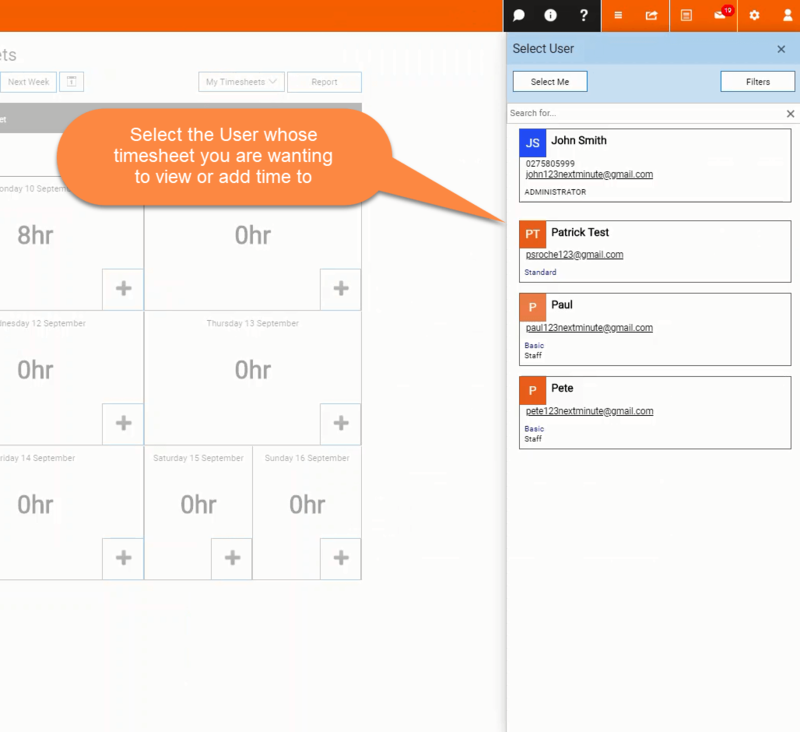 Select the User from the list to view and add time to their Timesheet.